Earlier this month Anchorage had the honor of hosting the U.S. Cross Country Ski Championships. The races also served as the final qualification races for the upcoming Winter Olympics in Pyeongchang, South Korea. The last time these races were held here was two Olympic cycles ago, prior to the 2010 Vancouver Olympics. At the time I was working as a coach for the Alaska Pacific University Nordic Ski Center and decided to make a run for the Games. After a challenging week of head-to-head competition, I was one of the lucky ones to qualify. I am positive the home-course advantage helped propel me to the Games, which in turn changed the trajectory of my life. 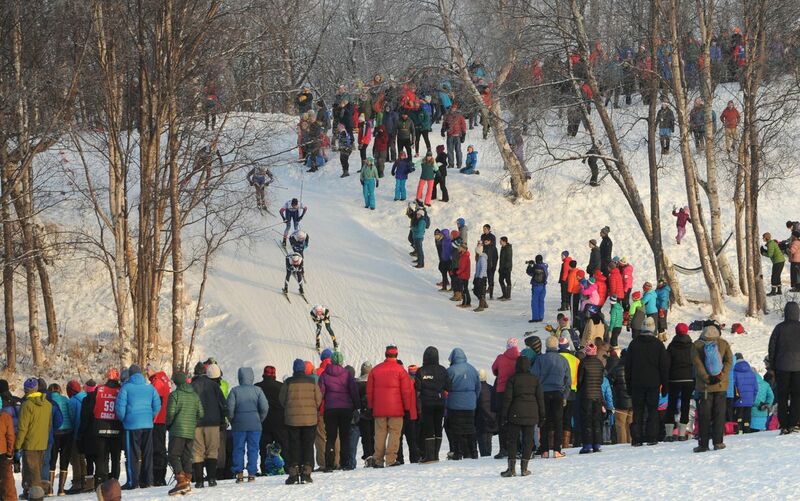 This year's races at Kincaid Park duplicated that moment for many other Alaskans. This Olympiad, the U.S. Ski Team will take its largest contingent of cross-country skiers in history with 20. Most notably, one half of the skiers are from our great state. Furthermore, nine of those 10 are from APU and ski under the tutelage of one coach — Erik Flora. The majority of these athletes learned to ski here, competed in high school here and represented Alaska at Junior Olympics. Now, they prepare to take sport's biggest stage. During the recent championships I had the opportunity to join the organizing committee. Despite having 4-month-old twins, my husband and I served as joint chiefs of awards. This meant we were in charge of the flower ceremonies after each race as well as the formal awards at the banquet. The job proved to be 1) challenging and time-consuming and 2) a wonderful opportunity to give back to a community that has given us so much. It provided me with amazing insight into how much is involved in hosting a championship race series. No less than 200 volunteers gave upward of 6,000 hours of their time and talents during race week alone. Anchorage, you pulled it off. Thanks to the vision of our strong nordic skiing leadership and the strength and depth of our community, a state with a tiny population will be represented in a huge way at the Winter Olympics. Truth be told, Alaskans ski well in Alaska. Races in Anchorage are held a couple of hundred feet above sea level, the snow is generally humid and fast, and we are accustomed to warming up for races in the dark. Being able to sleep in your own bed to avoid sickness and drive yourself to and from the venue at your leisure helps. At this level, the small stuff matters big-time. Back when I was racing my motto was (and still is), "Alaska needs role models as much as it needs medals." Yes, of course we're crossing our fingers and toes for that elusive Olympic hardware. But once it's all said and done, Alaska will welcome home a new crop of Olympians to serve as role models in our community. These are the folks who speak at school assemblies about the merits of physical activity and good nutrition. They are the ones who lead ride-your-bike-to-work day and who run with thousands of kids at the elementary school jamborees. They also impact our belief system. You see, success breeds success. When young athletes witness that Olympic athletes are skiers just like them, goals that once seemed like dreams suddenly become a reality. The "if they can do it maybe I can too" phenomenon is real. So Alaska: Thank you for hosting, for volunteering and for nurturing our next generation of Olympic athletes. Sure, they skied their way onto the team, but it wasn't without help from you, the team behind the team. Now let the games begin! Holly Brooks is a two-time Olympian who raced at the 2010 and 2014 Winter Olympics. She lives in Anchorage with her husband, Rob Whitney, and their two children.